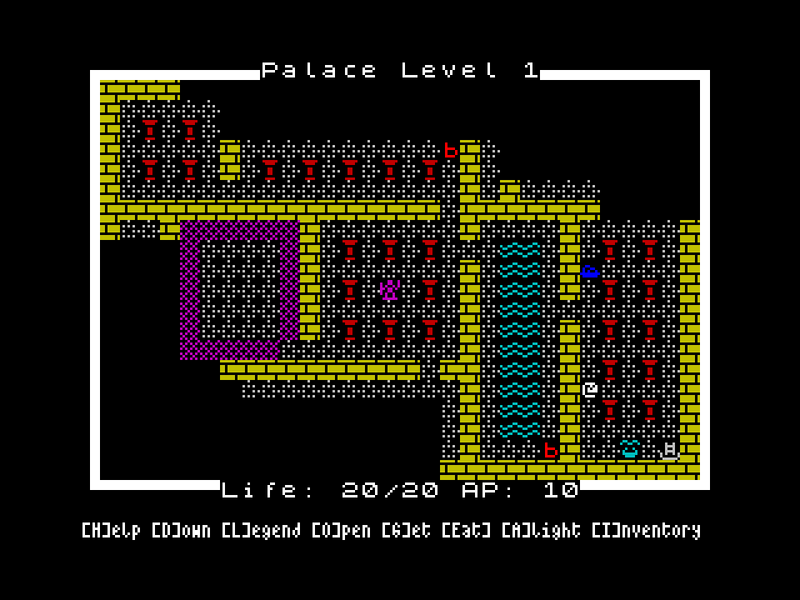 Escape from Cnossus is a roguelike for the ZX Spectrum, made with Boriel's ZXBasic compiler. It's a minimalist coffeebreak game; I can finish it in about 40 minutes if I counted correctly. You can play the game online courtesy of the JSSpeccy emulator. 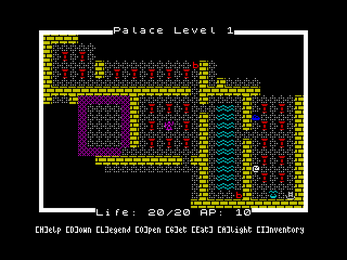 DOS edition via the Warajevo emulator. Code and assets available on GitHub. It's relatively slow on older machines. As of autumn 2017, you can buy a desktop port with redone graphics and other improvements. The movement speed and the waiting before you can start walking again kinda killed this. Try running it in a sped-up emulator? I can't provide the option in the browser-embedded version, and it's slower than a desktop emulator in the first place. Oh, all right. Unfortunately the DOS build can't be sped up. Sorry about that.